BPSGMC recruitment 2018 notification has been released on official website www.bpsgmckhanpur.ac.in for the recruitment of total 142 (one hundred forty two) jobs out of which 47 (forty seven) for Senior Resident, 19 (nineteen) for Tutors & Various Vacancies. Job seekers should apply on or before 06th February 2018. Here on this page you will get the details like the Name of vacancies released by BPSGMC with exact number of posts. Some other criteria like Education details, application fee and way to apply application for BPSGMC recruitment 2018. Educational Qualification: Graduate/ Post Graduate as per MCI norms or MBBS, MD, DNB or equivalent for S.no-1. Post Graduate or Graduate for S.no – 2. Fee charges: Applicants who wanted to participate for BPSGMC should pay the below charges through Demand Draft in favour of Director, B.P.S. Govt. Medical College for women Khanpur Klan Sonepat Payable at Gohana. Interested and eligible aspirants may apply in application form along with required documents send to the Director, B.P.S. Govt. 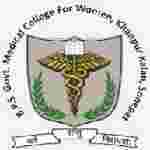 Medical College for women, Khanpur Kalan, Sonepat, Haryana–131305 on or before 06.02.2018.